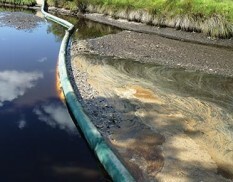 Curtain booms are impervious, non-absorbent floating structures with a large circular foam-filled chamber above the water and a weighted continuous skirt below the surface. 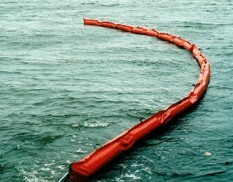 Curtain booms are ideal for short or long term deployment in harbours, rivers, ponds, dams or other rougher open waters. 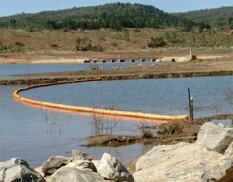 Curtain booms are also suitable for for long-term deployment on minesites to prevent and redirect oily water moving across dams and containment ponds.